Monrovia - Fifteen thousand Liberian youth are expected to benefit from a US$10 million youth opportunity project aimed at reducing the unemployment rate affecting the youth population. The project is a five-year plan of the Liberian government for youth development and capacity building, and it is sponsored by the World Bank. The project is expected to be implemented on a stage-by-stage basis. Youth and Sports Minister, Saah Charles N’Tow told a news conference in Monrovia Tuesday, that the program is designed to benefit youthful Liberians across the 15 counties. He said the decision was made following series of consultations on finding means of addressing the youth unemployment situation in the country. He described it as “being more gender sensitive”. “We still suffer from some of the effects of the global economic crisis." "We still suffer from some of the effects of the war and it is difficult to generate some of the revenues that will support the social program designed and young people are unable to provide for their families,” Minister N’Tow said. N’Tow noted that 2,000 of the 15,000 vulnerable Liberian youths, between the ages 15 and 17, will be recruited from Montserrado County for basic job skills training. Moreover, he said 2,000 youths are expected to benefit from business grants that would help empower and improve their living standard. Seven hundred youths in the remaining 14 counties are expected to benefit from farming tools and support in line with the program scope of operations as a means of increasing food production, according to the Youth and Sports Minister. 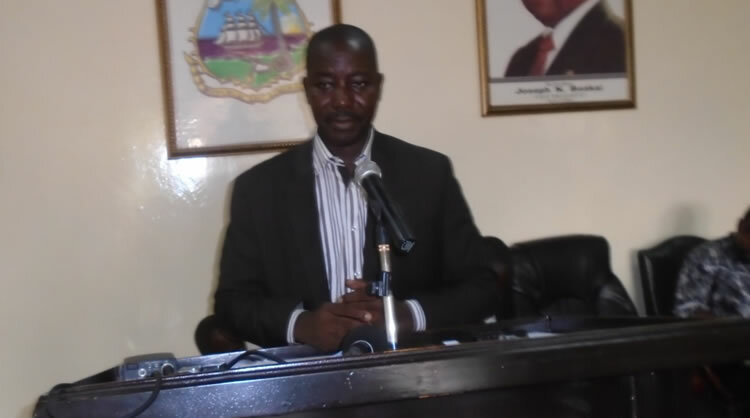 The Youth and Sports Minister expressed regrets over most Liberian youths’ inability to perform on jobs, which he says creates difficulties for them. He described as “disheartening” difficulties faced by young people in making ends meet, and said it is a challenge the Youth opportunity project will accordingly address. According to him, the program focuses on two main objectives: improvement of income generating opportunities for vulnerable youths in Liberia and strengthening government capacities in implementing the social transformation system for Liberians. N’Tow believes the program will tightened the unemployment gap that previous programs at the Ministry of Youth and Sports did not address. “Based on these experiences, we work with our partners to design this program that will focus not just on this employment issue, but something that will look at bigger opportunities,” said N’Tow. Minister N’Tow, at the same time, indicated that the program will be extended to vocational institutions, by providing money to promote the vocational skills acquired by some youths who intend collaborating as a company or a group. “If students at vocational institutions form themselves into a business, a particular portion of this money will support them by providing small grants that will help them not to develop the ideas of other but that of themselves,” he said. He also noted that beneficiaries of the project will meet necessary standards and qualifications set by the Ministry of Youth and Sports.